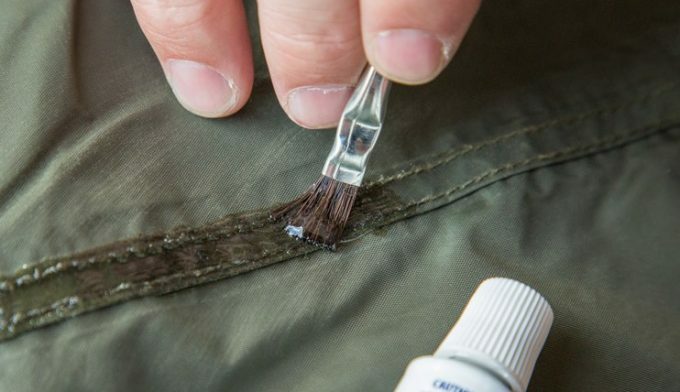 Whether you’ve just bought a new tent or your faithful shelter has started dripping, it’s important to ensure the seams are well and truly sealed. Few things spoil a camping trip as much as getting soaked within the safety of your tent. An unsealed tent will soon start pouring water over you whenever it rains, or when there is a little dew outside. 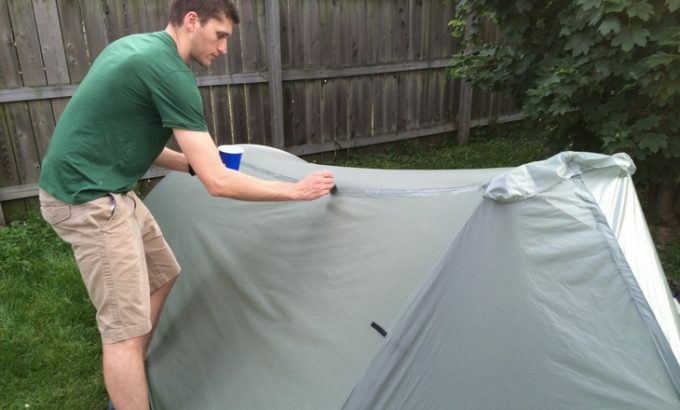 With this in mind, it’s very important to know how to seam seal a tent. To the uninitiated, this can sound far more intimidating than it actually is. In fact, seam sealing a tent is a relatively easy project and an essential skill for any camper to know. There are many different types of seam sealers available. Some that work better with certain materials. It’s important to know what your tent is made of before you seal it, to ensure it will be as waterproof as possible. 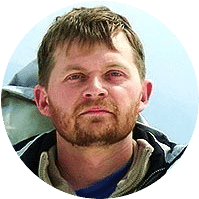 Read on to learn more about tent materials, the best tent seam sealers, how to make your own and exactly how to go about this essential task. Make sure you’re also adequately dressed for the cold weather. 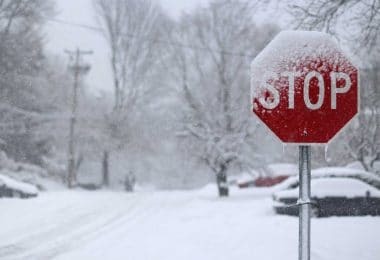 Do check out our article on how to choose the best cold weather gear to keep you toasty in icy conditions. For those new to the world of camping, this is a very legitimate question. Even for those with a vague idea, it’s worth clarifying exactly what seam sealing involves. 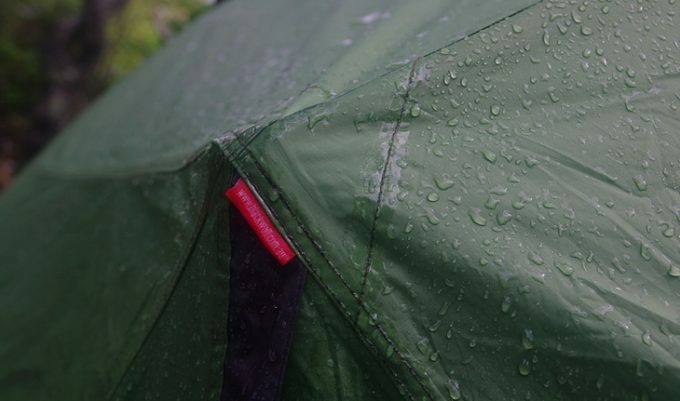 Seam sealing is the act of ensuring that your tent is waterproof. The majority of leaks in tents come from unsealed seams. When tents are produced, the needles used to sew the materials together will inevitably leave holes in the fabric. They may not be huge, but water and moisture will inevitably find a way in eventually. Unless of course the holes are sealed. 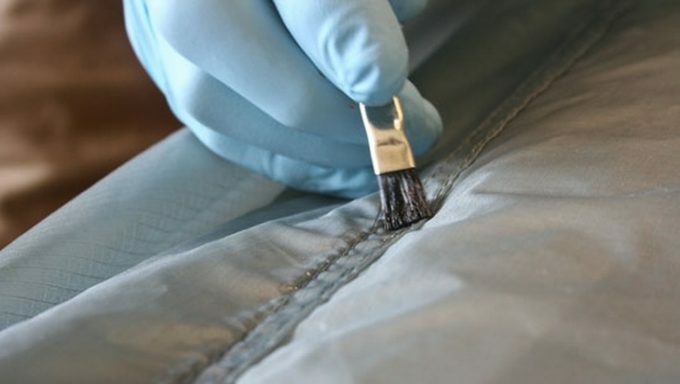 The sealer is applied to the seams and expands to fill up any holes or gaps in the stitching and surrounding material. The tent will effectively be waterproof once the seams are sealed, ensuring a dry and comfortable shelter. A lot of tents use seam tape to seal up the seams. This tape is fixed in place during the manufacturing process. When do I need to seal the seams? This is a good question, especially coming from campers who have spent years camping but have never seam sealed a tent. For new tents, most of the larger manufacturers will have applied seam tape on the seams in the factory. In this case, it is not strictly necessary to seal the seams yourself. Though there is certainly no harm in applying sealer to the edges of this tape. 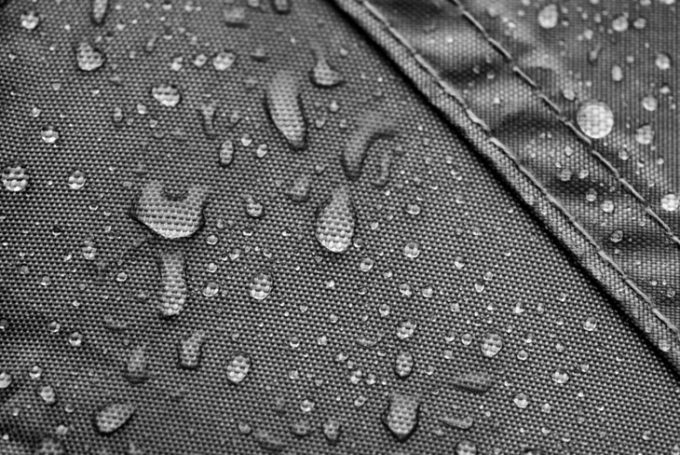 Not only does this ensure a watertight tent, but it also strengthens the stitching. Some brands, especially smaller, cottage manufacturers do not seal the seams, though some offer the service for a fee. These tents must be sealed before use to avoid moisture entering your shelter. The easiest way to see if your tent needs seam sealing when new is to simply search your tent model and seam sealing online. The results should provide you with a solid answer. The material that the tent is made from should also be factored in. Traditional Polyester tents will generally be seamed sealed at the factory, whereas ultra-light materials such as SilNylon cannot be sealed with tape during the manufacturing process. These ultralight shelters will almost always require manual seam sealing. Often, a sealing kit is included with the tent if this is the case. With older tents that have started to leak, don’t despair. More often than not, sealing the seams will make them as good as new again. Of course, you don’t have to wait until you’ve been rained on before you know it’s time to to reseal the seams. Check them periodically and when it looks as if the sealer is drying up, or peeling off, it’s time to reapply. Sealer doesn’t last forever, but it will typically last several seasons of hard use, provided the tent is well looked after and not exposed to too much direct sunlight. When thinking about sealing the seams of your tent, it is well worth knowing what you’re working with. Different types of material require different sealers. If you have an ultralight tent, it’s likely that traditional sealing products will not adhere to the material suitably. 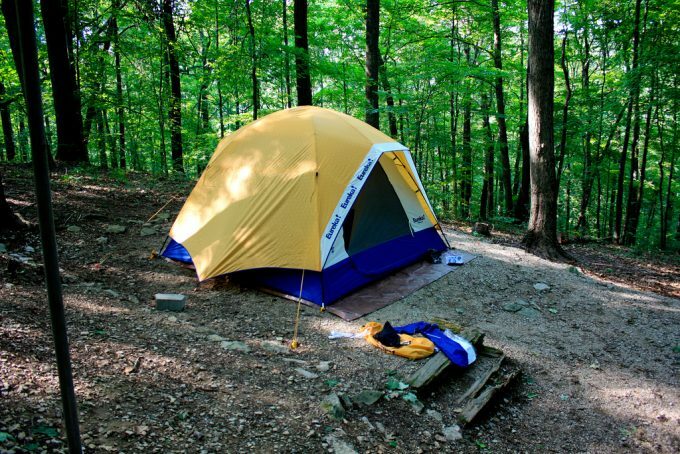 First, it’s worth knowing the most common materials that tents are made from. Perhaps the most popular tent material used these days, Polyester is affordable, stretch and shrink resistant and durable. It’s normally coated with a variety of different coats, i.e. waterproof or UV resistant. Compared to other materials, it’s far more resilient to the effects of direct sunlight. The material of choice for a lot of smaller, lightweight tents, Nylon is wonderfully versatile. Both very cheap and very expensive tents are made from Nylon, the difference being what they are coated with. Nylon suffers more under direct sunlight, so may not last as long as a polyester tent if it is subjected to long hours of sunlight. They also tend to slacken more when wet and require a little extra looking after. 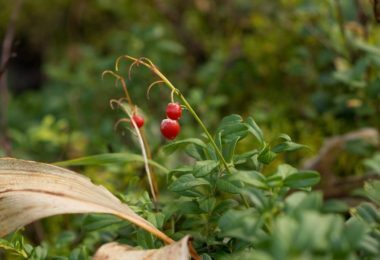 Traditionally all tents were made from cotton, though this practice is dying out. Cotton will rarely need seam sealing, as the fibers expand to create a watertight material. However, over time the fibers can tear, which is when seam sealing can save the day. Just be advised that a new cotton tent will leak the first few times it gets wet. It will need to be weathered to allow the fibers to soak up moisture and expand. Simply erect the tent and soak it, or leave it out in the rain. It may take a few times for the tent to weather fully. Short for Silicone Nylon, this material is used to create more expensive, ultra light weight expedition tents. It’s basically Nylon coated with Silicon. The fibers bond to create a strong and durable material. There’s no chance of mold from this super material as Silicone is inert. Seam tape does not adhere to SilNylon however, so most tents made from this material will require manual seam sealing. Having looked at some of the common materials used in tent construction, it’s time to match them with the ideal seam sealers. There are several types of sealers on the market and you can even make your own at home. The majority of sealers on the market are aimed at polyester tents. Indeed, most of the vague sealers you will encounter will almost certainly work well on polyester tents. Tents made from the lightweight SilNylon will require sealing manually more often than not, as seam tape cannot be applied in the factory. It’s essential that a Silicone based sealer is used to do this, as nothing else will adhere. McNett SilNet is the best and most popular Silicone based sealer on the market, though it is possible to make your own. Making the sealer is simply a case of diluting one part caulk to one part spirits. It can take a while to mix it properly as the caulk is quite tough, but a paint stirrer attachment on an electric drill will soon speed things up. The finished mix should be smooth and flow easily. If it’s a bit thick or lumpy, add a touch more mineral spirits and continue to stir. Before creating your own sealer, check the materials and coatings that have been used in the construction of your tent. Be sure that none of the materials will be damaged by the mineral spirits used in this sealer. Once you are sure what your tent is made of and have obtained the correct sealer, it’s time to get down to it. It’s worth taking your time with this job and ensuring you’ve sealed every seam properly. It can take some time and it’s not the most enjoyable task, but it is a necessary one. You’ll be glad of it when you’re camping warm and dry in the middle of a storm. Each tent is different so be sure to check the manual or user guide before sealing the seams. If you cannot find any information, there is no harm in contacting the manufacturer for advice. It’s advisable to seam seal your tent outside, or in a well ventilated garage. The tent will need to stay up until the sealer has dried, which can take up to two days. With this in mind, ensure you will have at least two days of dry weather. It shouldn’t be too hot, around 60℉ is about right. If you’re working outside, set up in the shade in an area sheltered from any wind. If it’s too windy, dust can blow onto your recently sealed seams. Humidity levels should be below 80% to allow the sealer to dry. Once the ideal conditions have been met, it’s time to set up your tent. If it’s an old tent, it’s worth giving it a clean first. 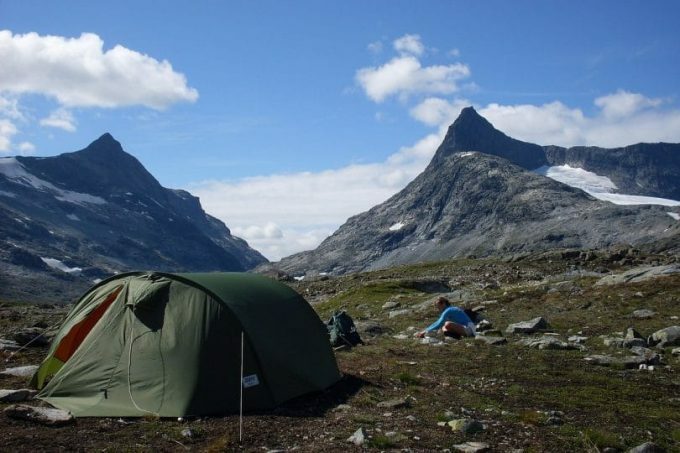 Pitch your tent somewhere it can stay for up to two days and ensure it is taut, there should be no wrinkles. The idea is to expose the seams as much as possible. If it’s a new tent, do a thorough inspection of the seals and material before applying the sealer. If there are any tears or other problems return the tent to the supplier. Once you’ve sealed the seams the tent will no longer be eligible for a refund. Once you’re satisfied, clean the seams with mineral spirits to remove any dirt from them. Be thorough as you want to avoid having any dirt in the seams, this can soon ruin the seal. For older tents with seam tape, check the tape and if it’s coming loose, pull it off and clean the now exposed seams. A small brush, a foam brush works well, or a paintbrush. Some sealers come with a brush attachment. A damp cloth is useful for cleaning up spillages. A bottle of mineral spirits can be useful for cleaning and if you have a thicker sealer, such as SilNet. An old cup or tin is good for mixing in. Talcum powder, to reduce the tackiness of the sealer. With the tent prepared the fun can begin. It’s worth mixing thicker sealers (especially Silicone) with mineral spirit, to create a thinner solution. This will be able to seep into the seams more easily and will fill in every possible gap. The general rule of thumb is to apply sealer to the outside seams, with the argument being that this is where it will need to be to repel the rain. You can, however, do the inside seams as well and many people will insist that you do. For SilNylon tents, only seal the exterior seams. Sealing the interior ones will not be effective. For other materials, it’s worth doing the interior floor seams as well. If in doubt, do both inside and out or consult the manufacturer. If you’re using a mixture of sealer and mineral spirits, apply a small amount to your brush and simply “paint” on the seams. Unmixed sealers can be applied directly from the tube. Run a small bead of sealer down the seam. Then take your brush and brush it down flat, using the bristles to get into all the gaps. Ensure you get right in any gaps. Work your way around the tent logically and be sure not to miss any! Let the tent stand to dry for at least 12 hours to a day. 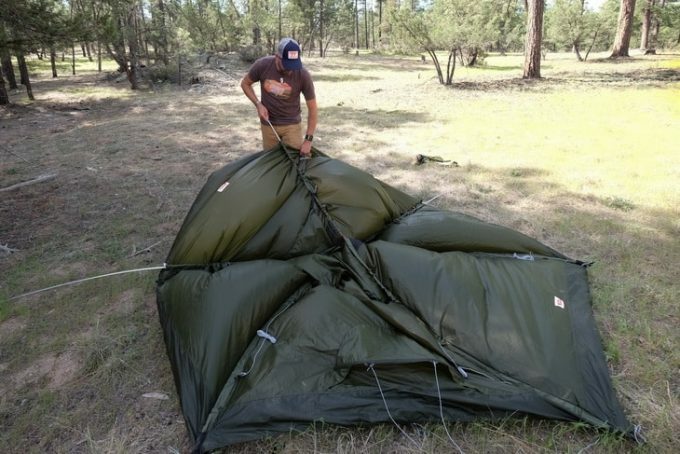 Once dried, give your tent a soaking and see how it holds up. Reapply to any problems areas if necessary. By following the above steps, you will be left with a tent that will keep you warm and dry during the harshest storms. But there are a few tips and tricks that will ensure your seam sealing goes without a hitch. 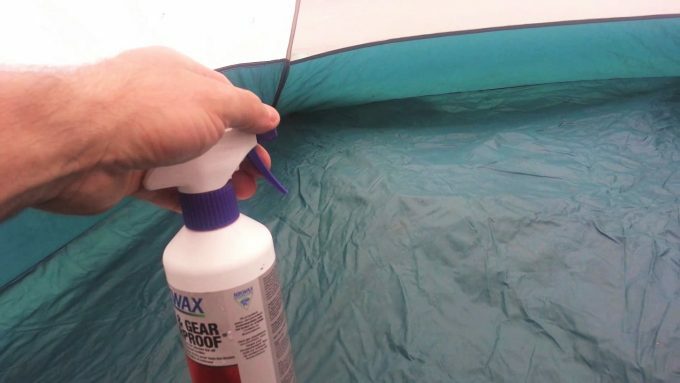 Use a toothbrush to clean stubborn seams on older tents. When mixing sealer with mineral spirits, it’s worth mixing only a small bit at a time as it can thicken before you’re done. Always put the lid back on the tube of sealer to avoid it solidifying. Create a seam sized guide out of cardboard. Simply cut a slot out of the card and place it over the seam. In this way you’re less likely to spill any sealer on the rest of the tent. Try to work quickly to prevent your sealer from thickening up too much. If it does, stir in a dash of mineral spirits. For tents with seam tape, only apply sealer on the edges of the tape. Take care to avoid getting any sealer in the zips. For larger seams, open them up and apply sealer in the gap. Add a few strips of sealer to the floor of the tent. In the future, this will keep your sleeping mat in place and prevent it sliding around in the night. If you’re concerned that the seals are tacky, apply a small amount of Talcum powder to the seams. With use, the seals will lose this tackiness anyway, but Talcum powder is useful. If your tent has a rain fly, these seams should also be sealed in the same way. 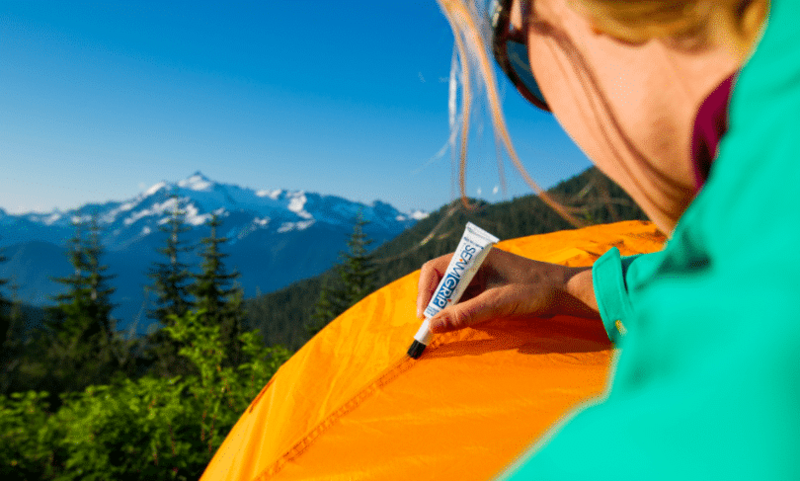 Sealer can also be used to repair any holes or tears in the fabric of the tent, simply apply in the same way. Remember to seal the logo or brand name if it’s stitched onto your tent. This area has eluded many a soggy camper in the past. 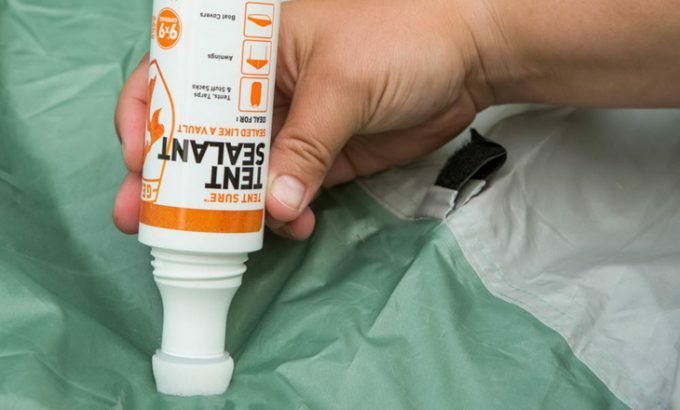 Seam sealing your tent is a useful skill to have and can save you money in the long run. Rather than replacing a leaky tent, you are now equipped to repair it and continue using it year after year. For anyone who camps fairly regularly, or in particularly wet areas, seam sealing is essential. For someone looking to go on a single camping trip in a year, it’s not so essential as long as your tent has been seam taped at the factory. Remember, lightweight SilNylon tents cannot be seam taped and will almost always need to be manually sealed. Some brands do offer the service for an extra charge, however. Periodic checks on the seals and spot repairs can improve the longevity of your tent dramatically as well as save you from being a soaking. Just be sure to use the correct sealer for the material your tent is made from – remember, only Silicone binds to Silicone. Always consult the user guide and if you’re still unsure, get in touch with the manufacturer. Now all that is left to do is get out there and enjoy your nice dry tent. Before you go on your next adventure, check out our article review of the top winter hiking gear list to find out more.